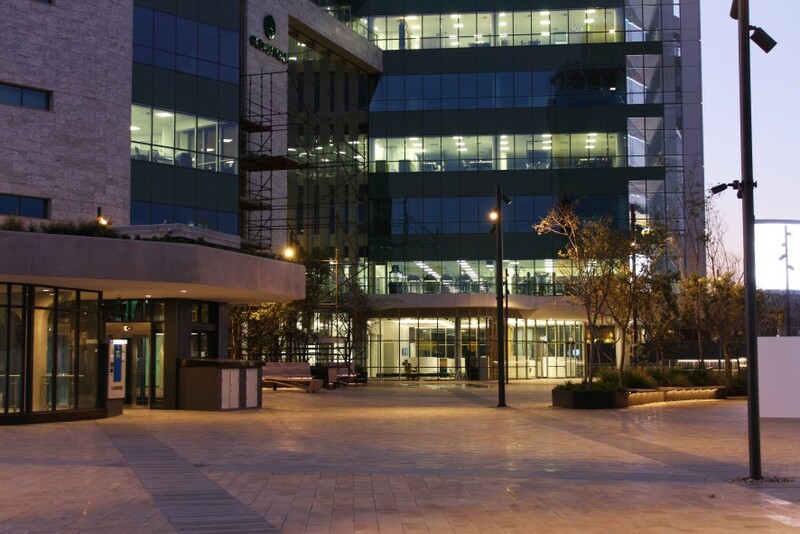 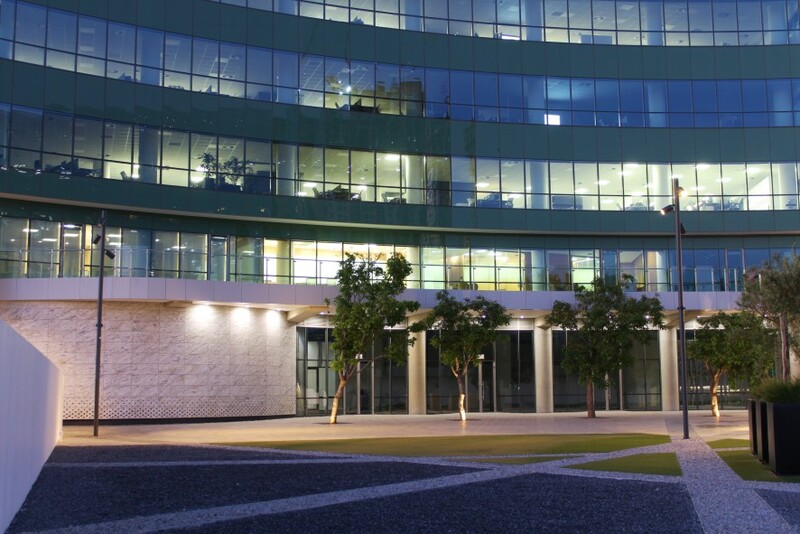 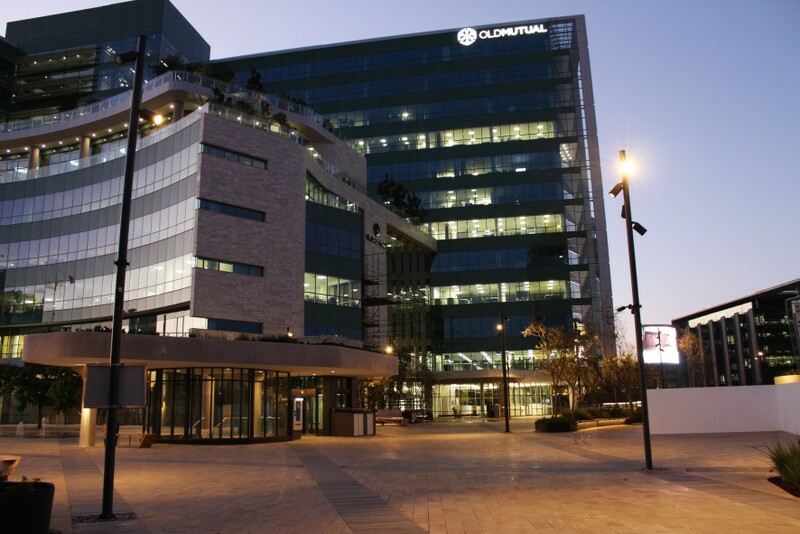 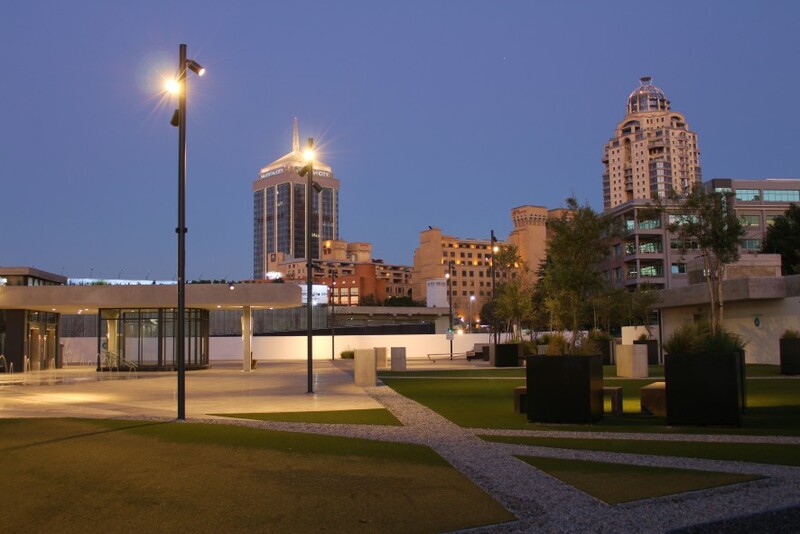 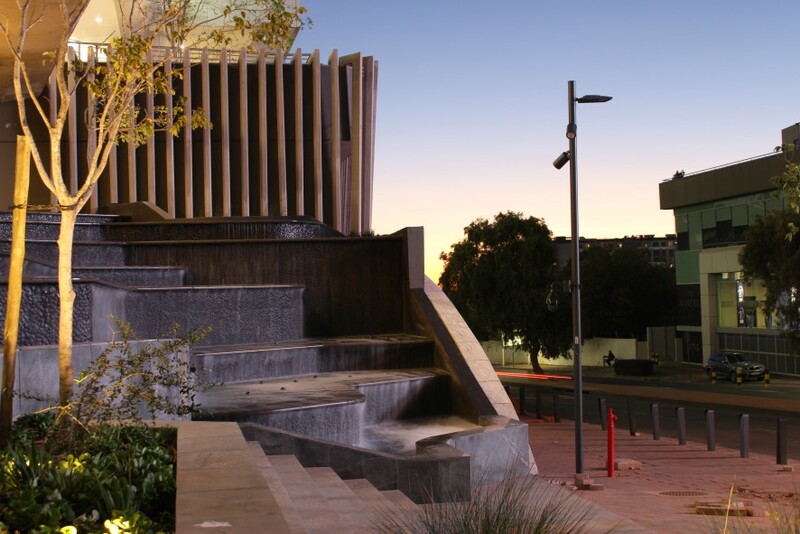 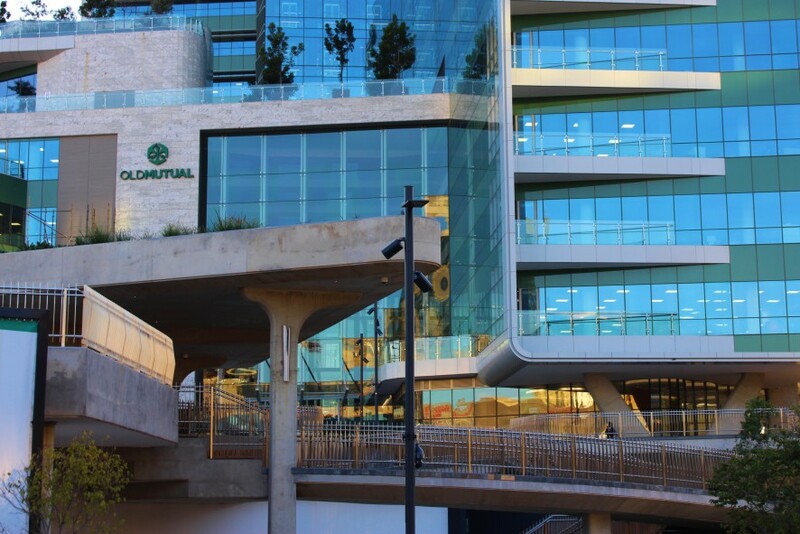 Old Mutual Square in Sandton features exterior fittings specifically developed to integrate lighting, surveillance & router accessibility for the square and surrounding park. 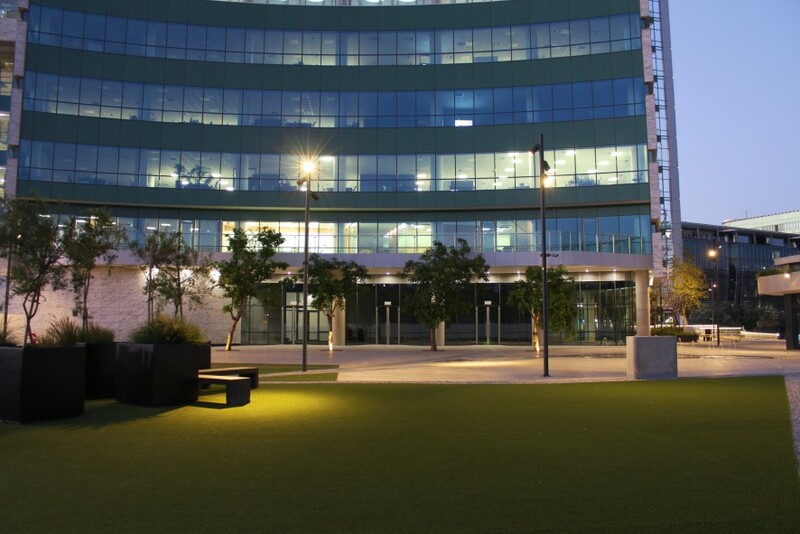 The lighting in the park itself features a variance of 3 to 4 Sputnik fittings mounted at different heights with precisely 90degree & 120degree spacing's. 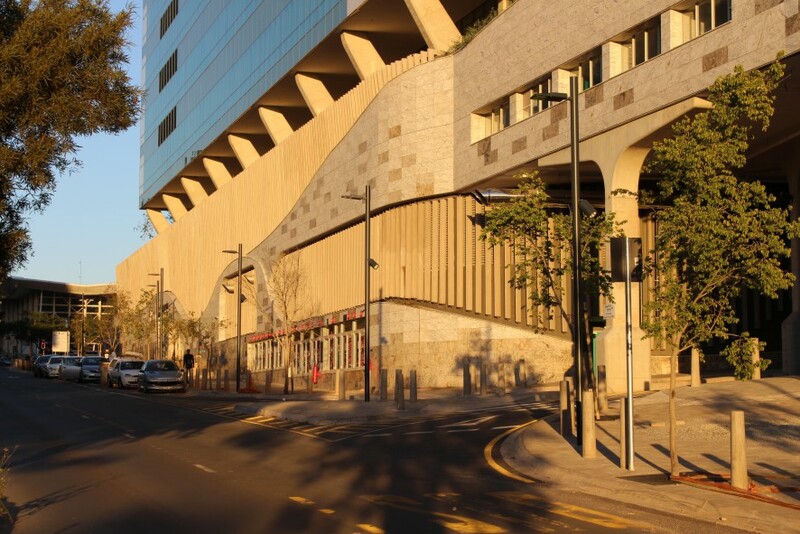 These poles include CCTV & Router Mounting Brackets at a 3m mounting height, with double access doors for both data and power access. 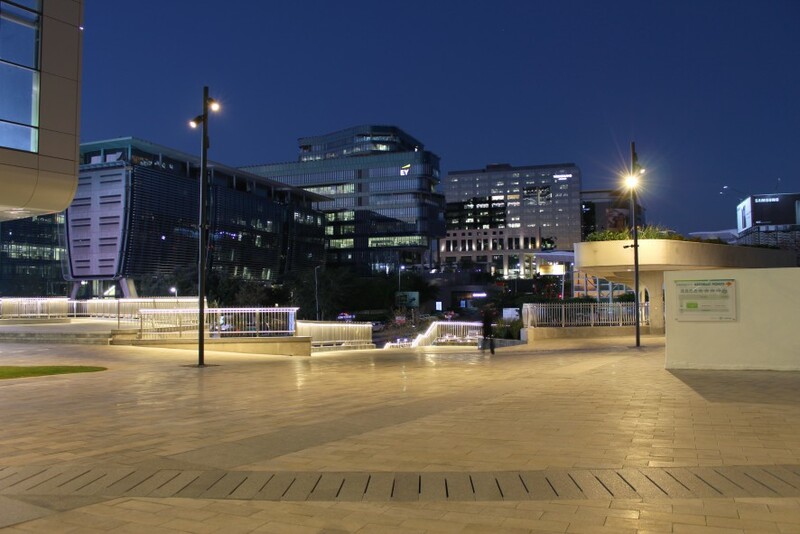 The lighting on the streets surrounding the building have been adapted to enable 6m Poles with 1x Lumina 54W fittings for Street lighting and 2 x Sputnik 32W fittings spaced 120degrees from the Lumina at different heights for pedestrian walkways. 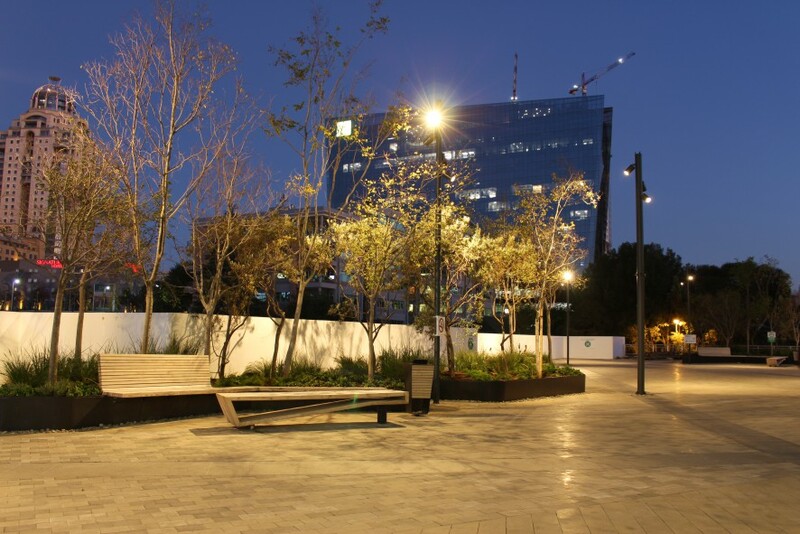 Gwen Lane is the street that enters the basement parking and for this street we used 4m Poles with 4 x Sputnik 32W Fittings at a 120degree spacing. 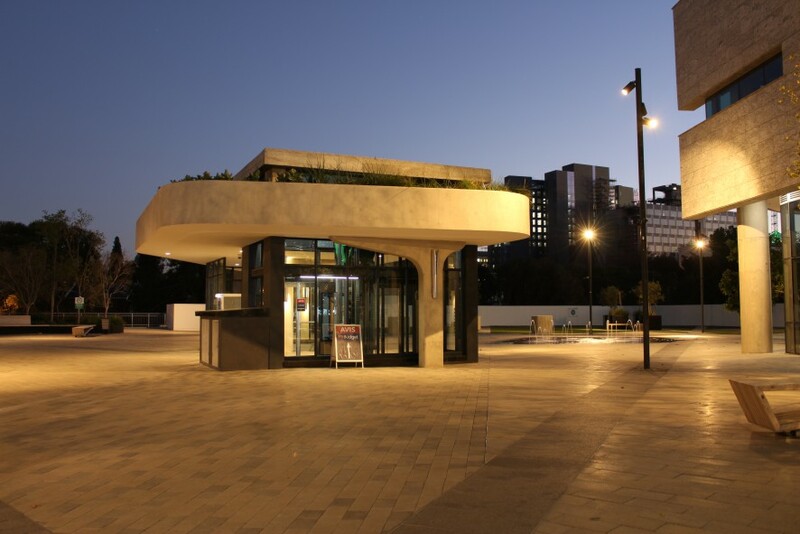 We incorporated special rotatable bases providing an array of mounting angles & positions for both CCTV cameras and Light fitting along the horizontal plane as well as our Roto Spigot Bracket for both the Sputnik 32w fittings and Lumina 54W Fittings on the vertical plane, a first for a Pole mounted application like this.